Many US cities are at increased risk of climate change due to being located along the coast. New research published in the journal Nature Climate Change lays out why coastal places are at increased risk. 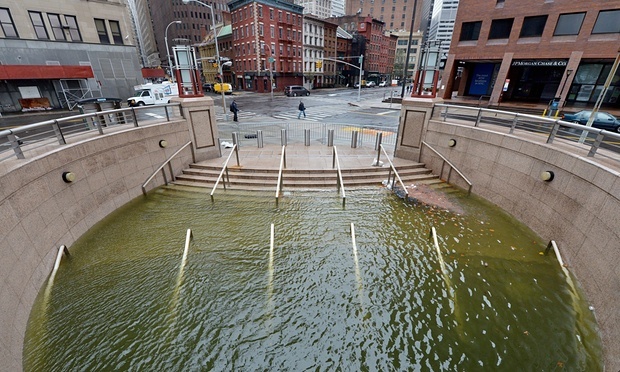 The combination of sea level rise, increased precipitation, and storm surge will cause larger and more detrimental effects for cities like New York, San Francisco, and Boston. Since 40% of the US population lives in coastal cities, this poses numerous problems for the economy, infrastructure, and human safety in addition to the environmental damage. Here in Canada, we face the same problem. Over 7 million Canadians live in coastal communities*. ACT’s work on sea level rise has primarily been with the Coastal Cities at Risk (CCaR) project, a 5-year multinational research project to document these increased risks facing coastal cities. Learn more about our work with CCar here.